Home » Old Shows » Maritime Vinyl » This Ship – All the Stars and Elements- Review! This Ship – All the Stars and Elements- Review! 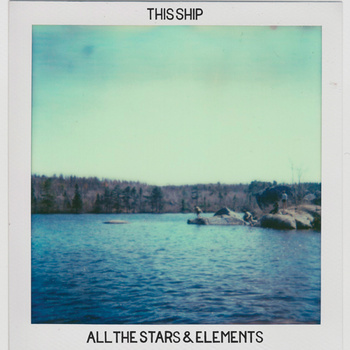 The debut LP titled All the Stars and Elements from Halifax indie pop-rock band This Ship just hit the online world on May 22nd. It has five long numbers filled with chilling harmonies, complex drumming, artsy guitar and pretty much any other instrument they could get their hands on. Hell, they even use their hands with steady, fun clapping that’s sure to be an audience favourite at their live shows. 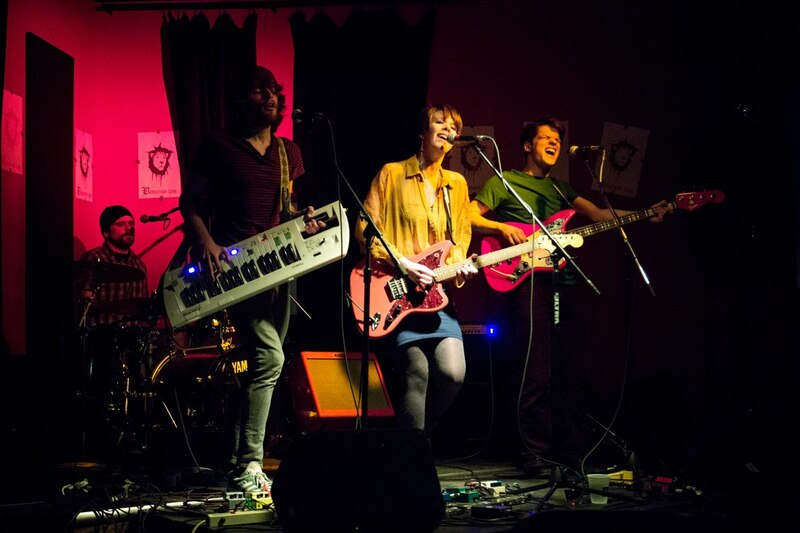 The band consists of Bethany Fulde on vocals and guitar; Justin MacPherson Wiles on vocals, keyboards and keytar; Jordan Stephens on vocals and bass; and Adam Martin on vocals and drums. Their influences include The Beatles, Wintersleep and Arcade Fire, yet they sound completely original. All the songs are clocking in at well over five minutes apiece (two are over seven), which usually makes me nervous as long songs tend to be filled with repetition (heres looking at you Don McLean) or ridiculous showboat soloing. However, This Ship keeps me interested. It’s almost as if they use a progressive rock formula of multiple instrument and vocal layers, yet they do it all with a fun indie pop-rock sound. Just being a band for a little over a year, This Ship has been keeping a steady flow of shows under their belts finishing two Ontario and Quebec tours in 2012. Their calendar is quickly filling with gigs this summer as well to support the release of All the Stars and Elements including a show in Fredericton at the Gallery Connexion on Saturday June 1st. As an added bonus, they are stopping in Quebec at the end of their tour to record a new three song EP, really keeping the momentum rolling. I’ll be sure to keep my eyes open for this release. The band is scheduled to appear on the June 3rd episode of Homemade Jams on 97.9 CHSR FM. Host Bondo always proves to have thorough and entertaining interviews so it will be a great opportunity to get acquainted with This Ship. You can download All the Stars and Elements on their Bandcamp page here, and pay by donation. I’m not sure if there will be a physical CD or vinyl release for this album, but here’s hoping!